The plum tree is now covered in fluffy white blossoms, and surrounded by little bees zooming in and out. They don’t stop for long, quickly moving on to the next prospect. This one is a sweat bee of genus Lasioglossum, which I suppose doesn’t tell you (or me) much. 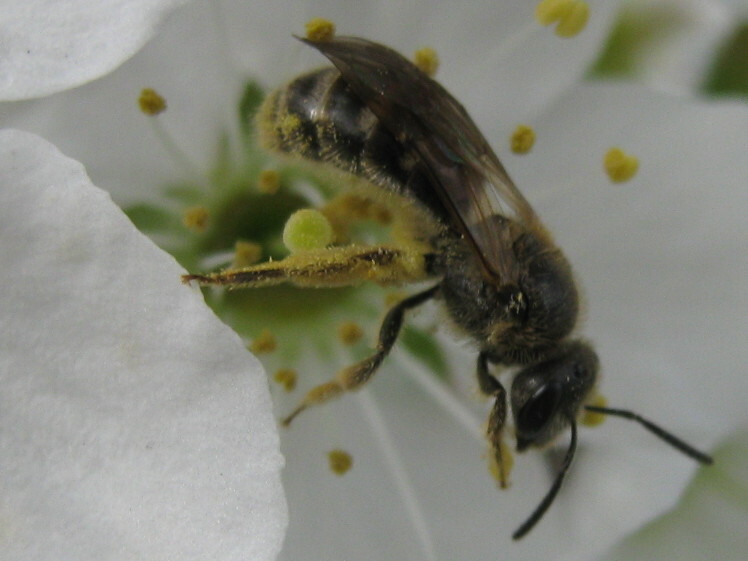 They are native bees and this one probably came from a nest in the ground, and she’s probably foraging for nectar to provision the nest she’s building. Probably best of all, she’s pollinating plums.